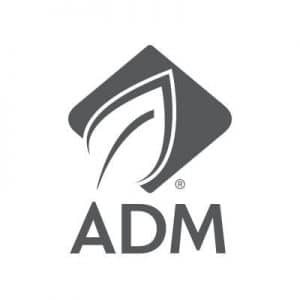 CHICAGO — Archer Daniels Midland Company (NYSE: ADM) announced today that it has reached an agreement to acquire Rodelle Inc., a premium originator, processor and supplier of vanilla products. Rodelle, founded in 1936 and based in Fort Collins, Colorado, originates, processes and sells premium vanilla products, including organic and traditional extracts, beans, alcohol-free flavor and paste. The company also sells non-vanilla products, including flavorings, extracts, spice blends and organic spices. Rodelle provides ingredient solutions to major food and beverage makers, as well as directly to consumers, with a premium retail brand that can be found in the baking aisle of most grocery stores in North America. The company’s sales last year were approximately $40 million. Rodelle’s supply chain is unique among major vanilla processors. In Madagascar, the company owns a stake in Federation Sahanala Vanille — a joint venture between Rodelle and a partnership of local associations that now includes more than 2,100 registered vanilla farmers — and is capable of producing industry-leading volumes of certified organic vanilla. Rodelle also has a strategic partnership with Gourmet Gardens, providing sourcing of vanilla in Uganda. By removing the third parties that are typical in other vanilla processor supply chains, Rodelle is able to offer competitive pricing and a reliable supply. Rodelle has about 70 full-time employees. The company operates a 65,000-square-foot extraction and processing facility in Fort Collins; the modern plant was built in 2008 and expanded in 2014, and includes labs for testing and R&D.